This is a modern, two bedroom apartment in Barcelona, located in the vibrant neighborhood of Barceloneta. It is a fantastic choice for your Mediterranean stay as the area is home to the city’s beaches and some of the best nightlife you can find in the Catalan capital. With easy access to historic downtown and all of the sights in and around Barcelona, the city will be at your fingertips! The apartment is furnished with two double beds, meaning that this Barcelona apartment can accommodate up to four people. For those who need to stay in touch with friends and family back home, an Internet connection is also available at an extra charge. The fully equipped kitchen makes it easy to create your favorite home-cooked meals, or even try your hand at some Mediterranean inspired dishes, all in the comfort and privacy of home. 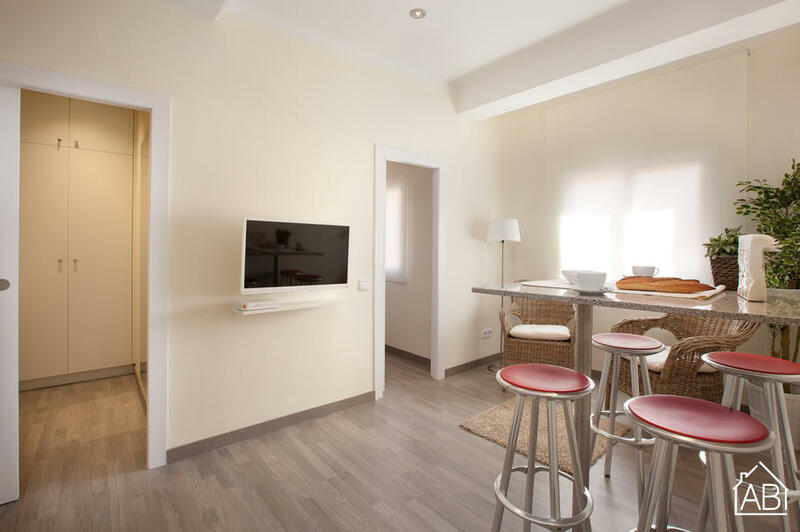 For a memorable stay in Barcelona, this lovely apartment complete with heaters and air-conditioning, is the perfect residence any time of the year!